Mark Zuckerberg co-founded Facebook, the number one social media platform, out of his dorm room at Harvard in 2004. But since March 2018, the start-up billionaire has been under the hot seat regarding accusations of unethical activities conducted by Facebook’s research firm, Cambridge Analytica (CA). The firm is accused of improperly gaining access to the personal data of more than 50 million Facebook users. As a result, the Facebook’s value declined. Zuckerberg continues to defend his company’s brand image to regain trust among its investors and users, as 51 percent of adults express their mistrust with the platform. Zuckerberg has admitted to making mistakes. He’s testified about his activities on Capitol Hill and in the UK. He also publicly announced his plans to protect users’ personal data and launched a PR campaign to rebuild brand trust. But will it work? 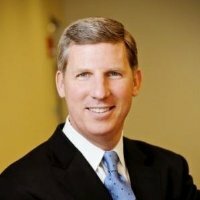 Dan Dent, APR, former PRSA Boston president, entrepreneur and seasoned PR executive, gives us his expert opinion on the importance of PR ethics, lessons for PR pros, and advice for Zuckerberg. What are some of the key features of ethical practice in public relations? The key features of ethical public relations are transparency and fairness. Transparency is important because, as advocates, PR professionals communicate with a point of view and a vested interest. The public at large should be able to identify those interests. Fairness is important because while PR professionals operate in a competitive environment of ideas, the public always reserves the right of choice. Fairness means we are aware of that choice and refrain from slandering or libeling our competition. Do you think Mark Zuckerberg and his PR team upheld ethical standards in their crisis response in the immediate aftermath of the scandal breaking news? Yes, I think Zuckerberg and Facebook upheld their responsibilities to their partners, employees and investors. They also addressed the concerns of their customers and legislators by outlining a plan to reduce instances when their customers’ personal information would be misused. What about during his testimony? What ethical issues do you see arising from his court hearing and testimony? Facebook’s ethical issues during Zuckerberg’s congressional testimony were to be expected. They include perceived lapses in Facebook’s transparency concerning the protection of their customers’ personal information. They also include a dereliction of years in Facebook’s cultivating the Congress as an ally, as opposed to a meddler or adversary. Zuckerberg’s personality came through as a technologist a bit removed from public debates, but his customer advocacy was strong. What should Facebook do to repair its damaged image? The damage to Facebook’s reputation will likely be short term, but the company does need to execute on its plan to improve the ways it protects and shares customer data. I would recommend they put a plan in place with 10 milestones over one year to achieve change and communicate it to the market. What can PR professionals learn from this historical Facebook incident? PR professionals should be prepared to point to Facebook’s recent activities with the Congress as a cautionary tale. Lessons learned include the importance of preparing a crisis communication plan, the ongoing value of cultivating influencers who can impact your business (here, the Congress), the importance of protecting and advocating for your business partners (here, Facebook’s community of apps developers who rely on Facebook customer data for their businesses), and the willingness to not stonewall when change is demanded by the marketplace.